I’ve posted your project to another thread to not mix our conversations with Huw’s project. i looked at the last file and i changed the thicknes of the strings and steps to 36mm. This stair will work better. Thanks for looking into my stairfile. I think it would be a lot better, and more solid. I appreciate the changes you heve made and the stair would be definitly better. I made some final changes to the plan. I ‘m aware of the missing right hand support of the steps and no landing step. The stair wil be mounted on to the wall. 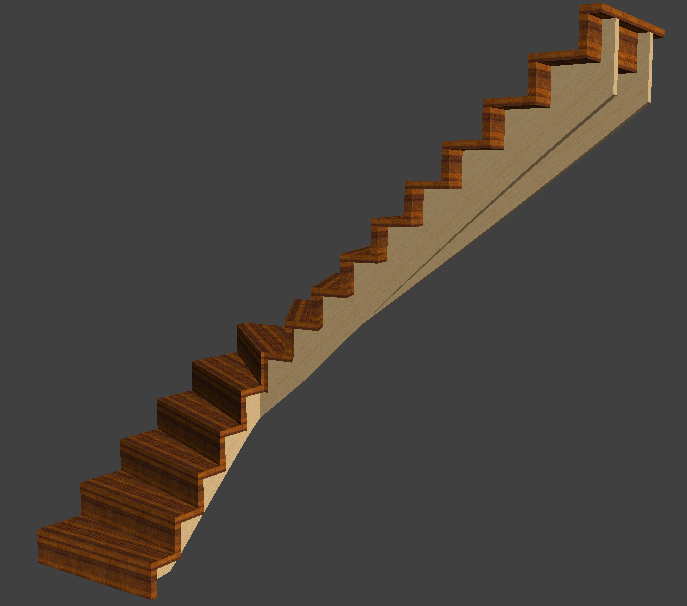 would it be possible to obtain the cutting lists for the stair. I attach below the workshop documents for your stair. Your stair is an original design with not right hand support of the steps and no landing step. Beware that this design is not structurally sound as is, ans will need some tweaking before building. To keep the forum organised and to facilitate following each project please start a new thread for any further requests. I am a new member . I drawed a stair which I would like to use to get to the attic. I only have one question: what can i do to recieve the drawings and cutting plan’s? I am already a full member. Here are your working documents. Hope you enjoy building your project. If you have time, we’d love to see some photos as you progress. Thanks for all the help Ness and Stefan – very fast and efficient! I am happy with your recommendations and changes Ness and so when you have the time, if you could please send me back the working docs to the version you revised I’d be very grateful – aiming to have this project completed by the end of the month!! Just to expand on what Ness said, when you’re happy with the design, attach it to a post here and we’ll send you back the working docs. This is the StairFile Lite service, free of charge to Full members. Your project looks fine but I would make a couple of suggestions. I would make the strings thicker and less deep. Depending on the way the stair will join up to the first floor, you might also consider adding a landing step. I’m not sure what sort of design you are looking for but I’ve adjusted your stair a bit and the attached design should work. To get the working documents, just post the final project and as a full member, we’ll send you the files free of charge.